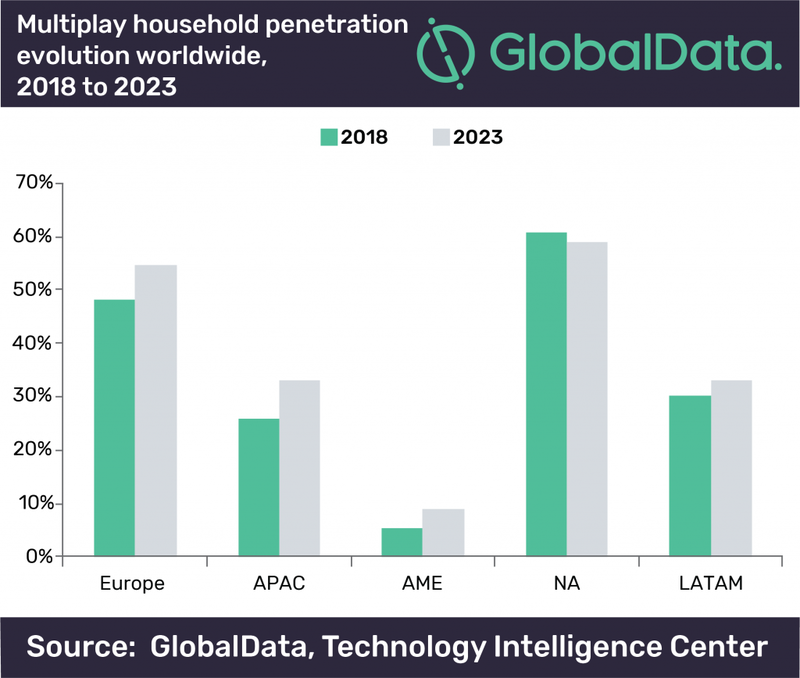 The number of multiplay households in the Americas subscribing to double, triple or quadruple play service bundles reached an estimated 142 million in 2018, equating to a household penetration of 43%, just behind Europe with 48%, according to a recent report carried out by GlobalData about the current state of the Telco market. On the other side of the spectrum, Africa and Middle East, with a household penetration level of 5%, is the region exhibiting the lowest multiplay adoption. North American markets have traditionally exhibited some of the highest mobile broadband penetration levels worldwide thanks to their extensive broadband infrastructure coverage and higher per capita income levels, and with a robust growth and low levels of unemployment, the region is likely to continue its further extension – although at a slower rate – in the market to become the leader worldwide by 2023. In addition, aggressive discounted pricing adopted by most operators in the region and the inclusion of value-added services as part of multiplay bundles have also played an important role, helping to rise adoption levels historically. At a sub-regional level, however, there is a great disparity in terms of multiplay service adoption within the Americas, with penetration of households reaching 30% in Latin America compared to 61% in North America as of the end of 2018. Meanwhile, the region has been lagging behind North America in terms of multiplay service adoption. Because of its relatively low multiplay adoption levels, Latin American countries hold the greatest growth opportunity in the Americas, particularly Argentina, Mexico and Colombia. The report also discloses that Triple-play bundles will account for 50% of the total region’s revenue, while double-play bundles will be responsible for 42% of the region’s multiplay revenue. The contribution of quadruple-play will remain relatively modest at 8% for the same year. On the other side of the Atlantic, Western European markets have traditionally exhibited some of the highest mobile broadband penetration levels worldwide thanks to their extensive broadband infrastructure coverage and higher per capita income levels. In addition, aggressive discounted pricing adopted by most operators in the region and the inclusion of value-added services as part of multiplay bundles have also played an important role, helping to rise adoption levels historically. 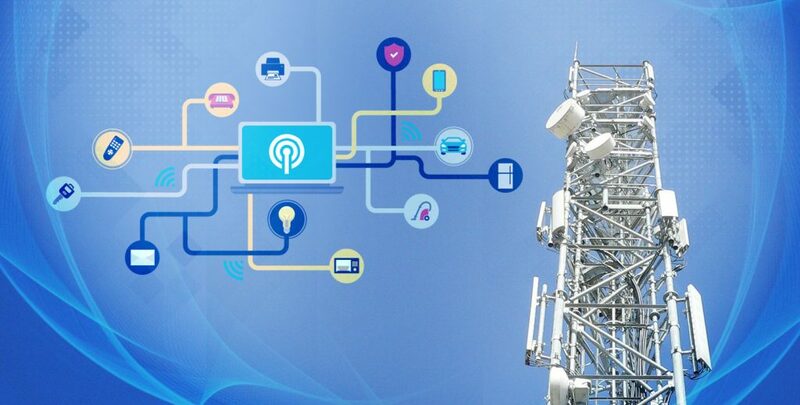 In fact, “Multiplay Service Market Trends in Europe” a new Telecom Insider Report states that at 71.6% estimated for year-end 2018, Western Europe (WE) for a 48% penetration across all of the continent, and it features the highest multiplay household penetration worldwide.